Owning a Quality Mattress Matters. Things to ask when purchasing a mattress. You spend more than a third of your life on a mattress, purchasing one should not be a decision you make lightly. Trent Bedding wants you to make the better choice for a quality night’s sleep. Learn the questions you should be asking before purchasing a mattress. Does this mattress set have a warranty? A mattress warranty protects you if your mattress set has a manufacturer defect that requires repair or replacement. 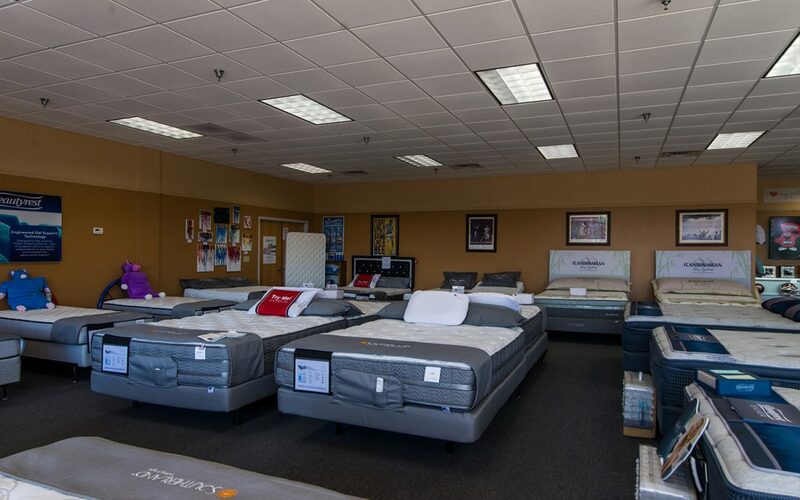 Every mattress set at Trent Bedding comes with a warranty. A warranty does not cover misuse of the product. For example, a stain will void a mattress set warranty. Knowing your mattress set warranty requirements will save you a lot of time and headache if your product has a defect. Has this mattress been damaged or is it used? Discount or factory seconds mattress stores often sell damaged or irregular mattresses. These mattresses do not come with a warranty. They also sell floor models and mattresses that have been returned by a previous owner. Do you really want to sleep on a mattress that has already been slept on by someone else? To ensure the integrity of the mattress you are purchasing, a new mattress with a warranty is the way to go. At Trent Bedding, all of our Mattress sets are new and come with a manufacturers warranty. Products that are manufactured in the United States have to follow much stricter regulatory standards than those produced in other countries such as China. Manufacturing products in the United States also keeps jobs here. 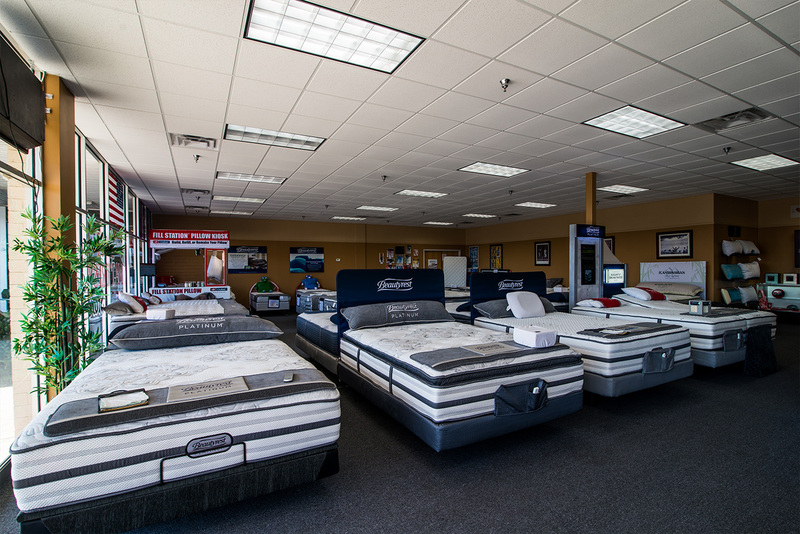 At Trent Bedding, we only sell top quality products that are manufactured in the United States. We even visit our mattress factories so we can see firsthand how the mattresses are constructed. In doing this, we can make sure every mattress we sell we would put in our homes. How important is the selection of your pillow? A pillow is 25% of a quality night’s sleep and is a very important purchase. 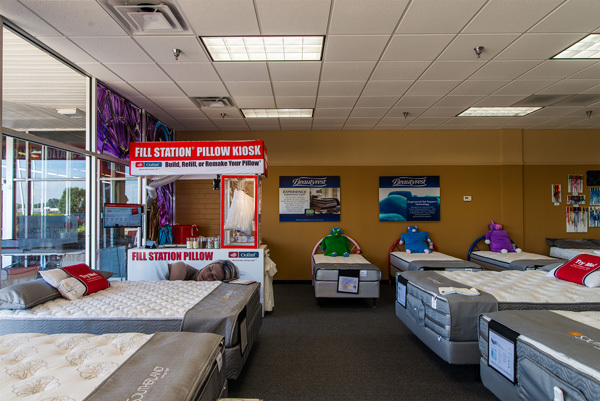 Trent Bedding offers the largest selections of pillows in Bowling Green. Purchase a pillow that sleeps the way you sleep with an I Love My Pillow. You can also build your own custom Fill Station Pillow in under 5 minutes! Questions to ask when purchasing a mattress. Lil’ Trent and Trent Ranburger discuss the questions you should ask a mattress store before you make a purchase.